Electricity students learn many phases of residential and industrial electricity, including installation and maintenance. The program involves layout, assembly, installation and testing DC and AC circuits in homes and industry. Students also learn electronic devices, motors, generators, control systems, and home appliances. Seniors are involved in a commercial or residential building project. Electricity is certified by the National Center for Construction Education and Research, the Independent Electrical Contractors and the Ohio Department of Education. Hocking College accepts credit hours earned through the Contren Learning Series, the NCCER curriculum. 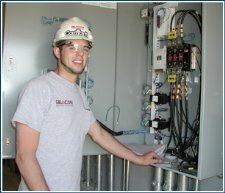 Sinclair Community College accepts the first year of the Electricity high school program as Level I training. A $3,000 Tech Prep Scholarship through the Miami Valley Tech Prep Consortium to Sinclair Community College is available to students who meet the eligibility requirements. 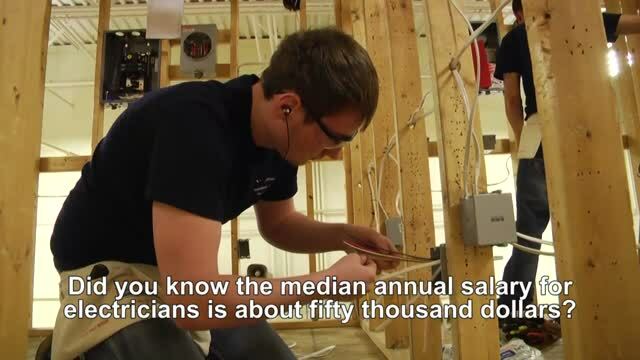 Electricity students participate in SkillsUSA, a partnership of students, teachers and industry, working together to ensure Americal has a skilled workforce. All students also have the opportunity to participate in the Tech Prep Showcase through the Miami Valley Tech Prep Consortium. Contact Instructor Rick Centers at 513-932-5677 ext. 5246 or rick.centers@mywccc.org.